Devolver Digital E3 2018 Press Conference Announced | Nerd Much? Well, strap in for round two, folks. 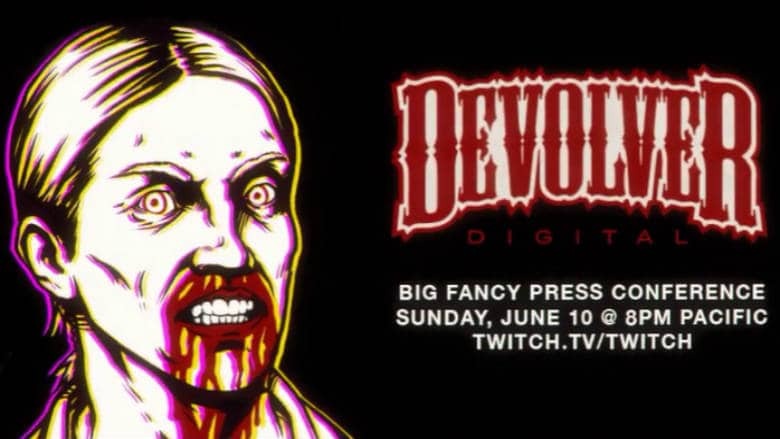 We’re getting another Devolver Digital E3 press conference this year. And the team is already guaranteeing the event to be a complete let down. Last year’s Devolver Digital E3 “press conference” was little more than an extended gag. Games were an afterthought and the presentation was essentially a fifteen minute skit of sorts. The event was essentially just the publisher mocking the games industry as a whole. This year though, they promise that things will be different. But I wouldn’t hold your breath. 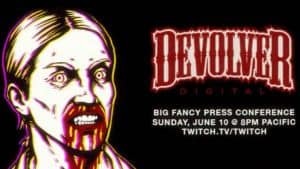 Devolver Digital’s Big Fancy Press Conference 2018 will take place on Sunday, June 10th at 8:00 p.m. Pacific, 11:00 p.m. Eastern. The show will take place from the Dave Lang Memorial Convention Center and will also be streamed live on Twitch. However, press and fans aren’t actually invited. The publisher states that “this year’s Big Fancy Press Conference will feature real, actual game reveals and technological innovations from Devolver Labs.” Devolver Labs chewed up a big portion of last year’s press conference debuting their invention that made “throwing money at the screen” a valid form of payment for the publisher. Oh, and they promise that “there will almost certainly be blood, possibly loss of life.” So there’s that. While getting hyped for the event is sure to lead to nothing but disappointment, there are a few games coming from Devolver Digital’s portfolio that we’d love to get a closer look at. The Messenger‘s 8-bit to 16-bit gimmick is something that looks fantastic. And we know that The Talos Principle 2 is on the way, so we could get a glimpse at that. The company has slowly become more and more prominent in the industry as a premiere indie publisher. Notable games include the Serious Sam series, Enter the Gungeon, Broforce, Hotline Miami and Hotline Miami 2. But again, whether we see anything games related at the Developer Digital E3 presser is a complete unknown at this point. They could simply plan to troll us all over again.